What happens when the function of an object or a space continuously evolves, or becomes stratified as it is duplicated, triplicated, and multiplicated? DESIGN.VE 2018 presents a group show and a number of installations in various locations disseminated across the city of Venice. The group show, which takes place at Palazzo Morosini Gatterburg-one of the historical venues of Generali Italia, focuses on the curatorial concept “DESIGN AFTER DARWIN. ADAPTED TO ADAPTABILITY”, which exalts the extensive value of design, seen through its readiness to incorporate other uses, and the use by the others. This facet of the nature of design becomes an active component in the transformation of everyday life due to the power to integrate with the unpredictable paths of the future, and a reinvention of what was only previously imaginable. Our occupation of space and our utilization of objects change repeatedly. The allocation of function loses definition, replaced by a polymorphous management process of time and the use of space. Work and leisure are superimposed and often exist simultaneously in more and more spaces. Venice in this sense represents an avant-garde observatory, with the coexistence of residential population (in vertiginous decline), commuters travelling from the mainland, university students sharing rooms, Venetians and foreigners alike living in Venice only temporarily, and the annual presence of 28 million tourists. Also in terms of economical and cultural activities Venice is an interesting example for the hybrid use of spaces as residential, manufacturing, commercial and cultural. This peculiarity offers an experience of the city that is situated at the intersection of the fabric of everyday life and the uniqueness of art, design, and architecture. DESIGN.VE plays along this intersection offering a special experience of design and the city of Venice. 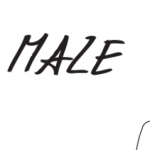 Experience ‘A Maze’ from 17th – 22nd of April during Fuorisalone, in Via Tortona 14!